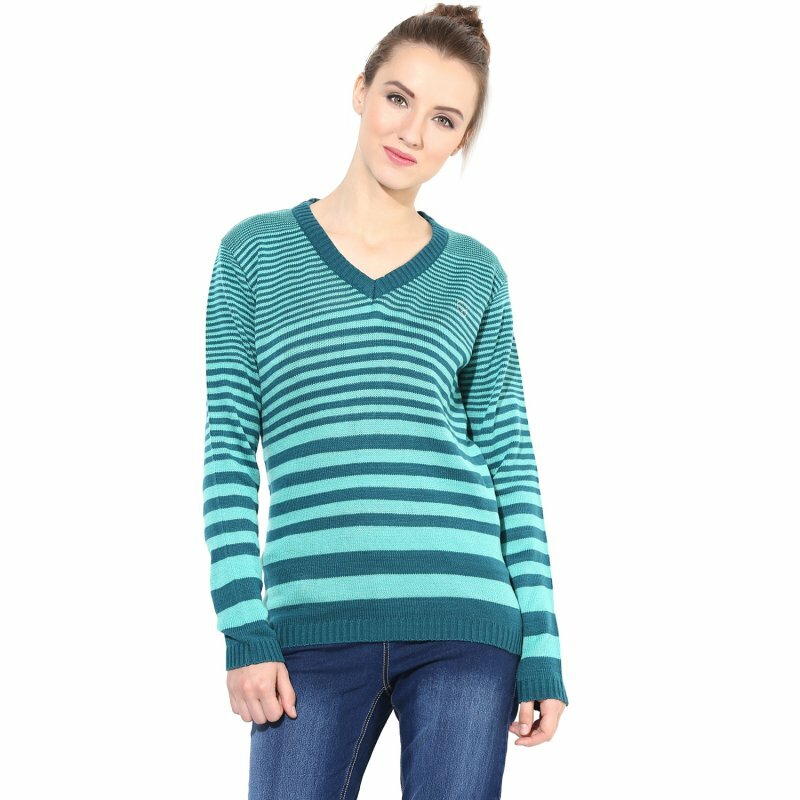 This green/blue, v-neck, full sleeve and striper design pullover is made from high quality mixed yarns. 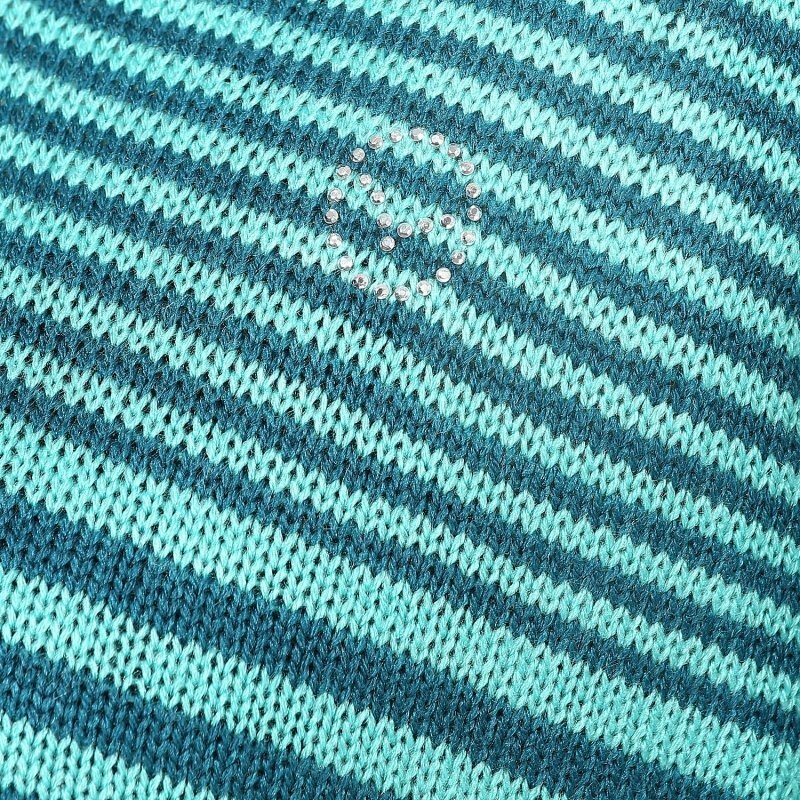 It has been treated and washed to give silicon top layer ensuring a smooth and silky feel. 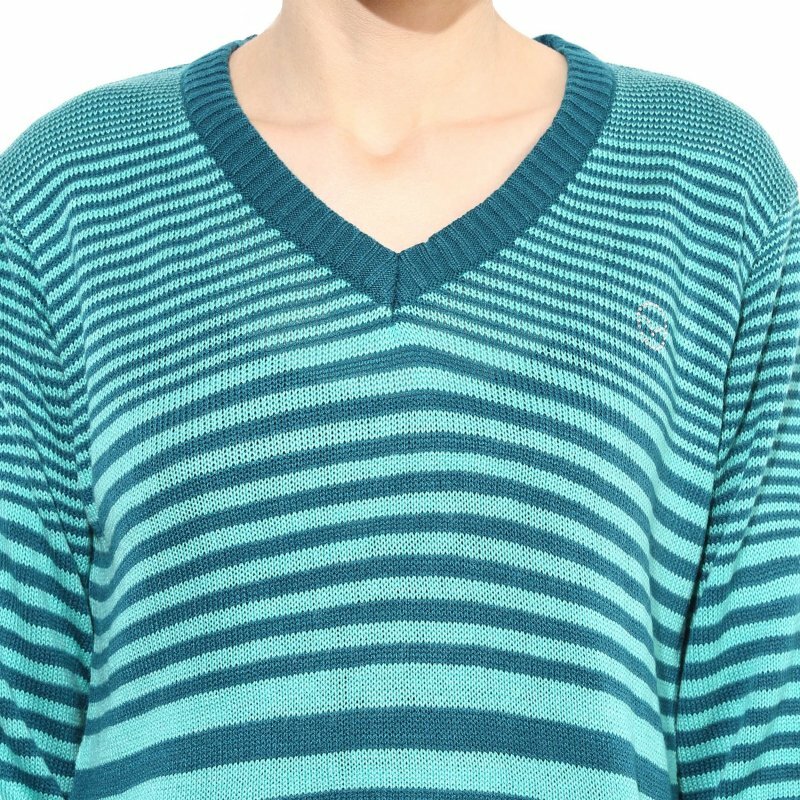 The special wash also enhances the look and wearability of the sweaters. 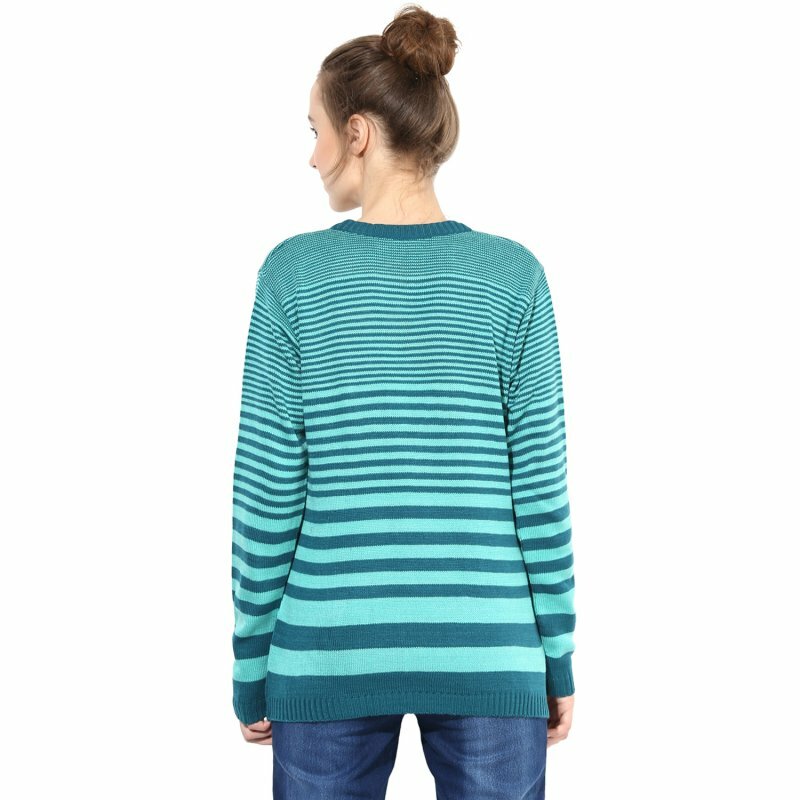 It is going to be winter time soon and sweaters are out to give you the best of comfort and styling. Pair our unique crafted sweaters with blue denims and casual sneakers can instantly turn yourself into a style Diva. 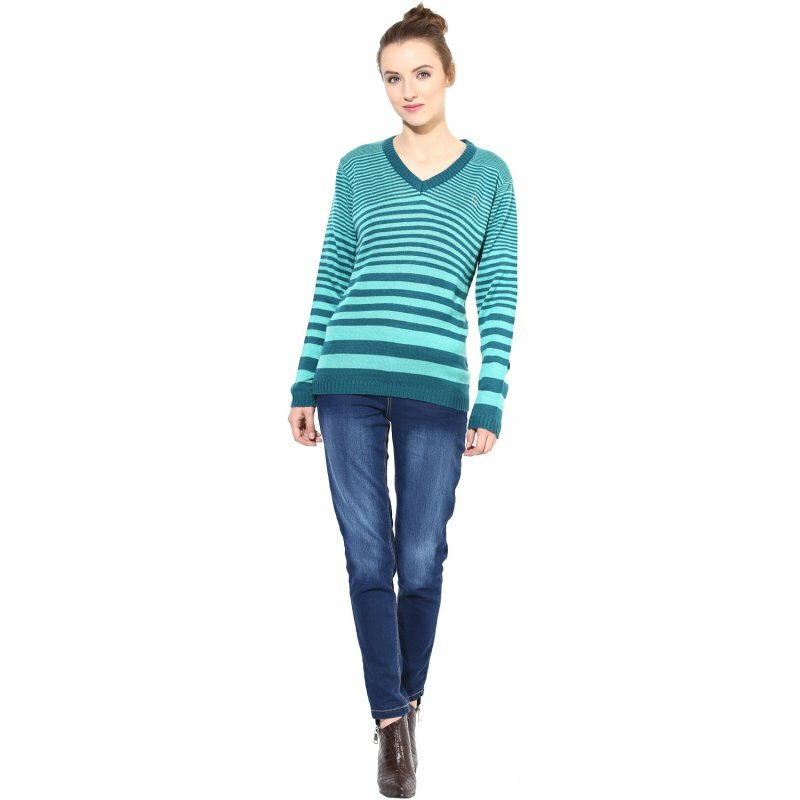 Unbelievable price on Green / Blue striped Pullover in Gurgaon (India) company THE VANCA.